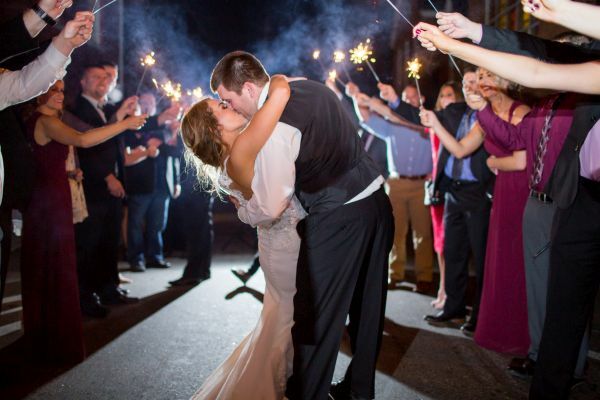 Even though Hannah Mankin and David Parker attended Radford University together, they never knew each other. After their best friends introduced them, their romance began. 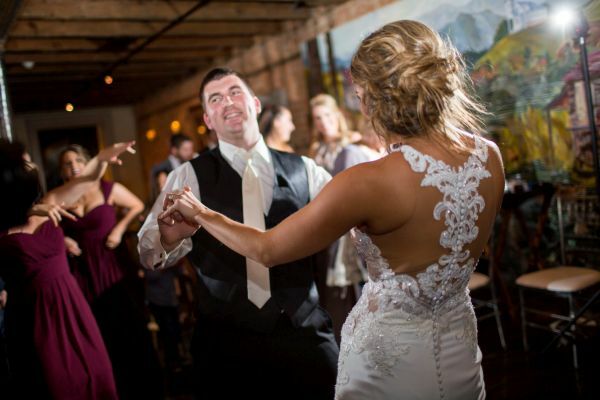 "My future husband was under my nose the whole time!" Hannah says. Lola, the couple's adopted puggle (half pug, half beagle! 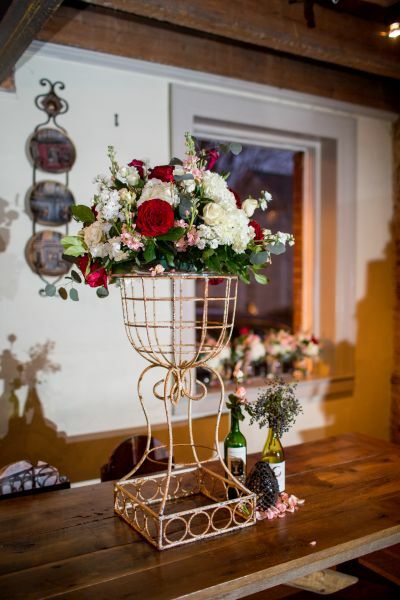 ), played a key role in David's proposal. 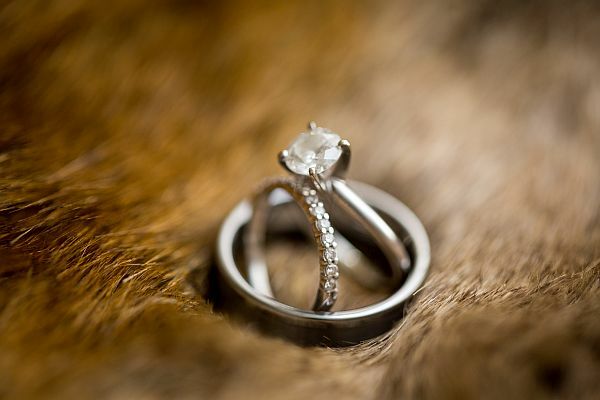 While they were both at their home in Lynchburg, David encouraged Hannah to cuddle their pup, and she found the beautiful ring that he had attached to the dog's collar just as David popped the question. 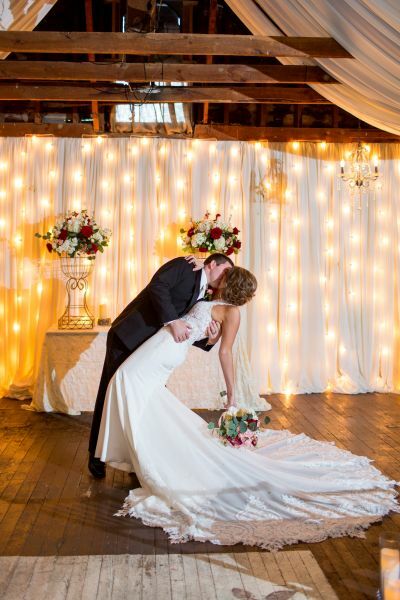 The couple's special day was made even more enchanting by the Christmas spirit that surrounded them. 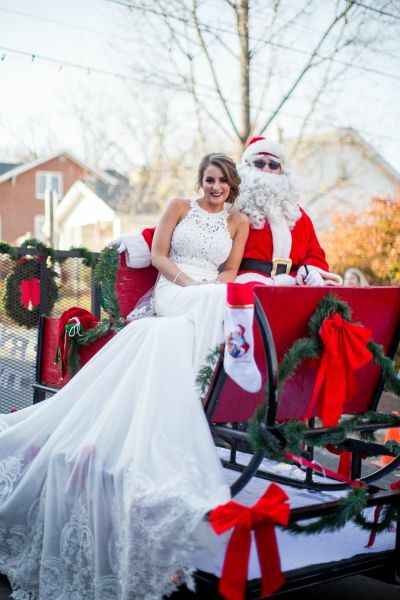 Magic was in the air before the couple even exchanged their vows: there was a Christmas parade before the ceremony, and Hannah even got a picture with Santa! 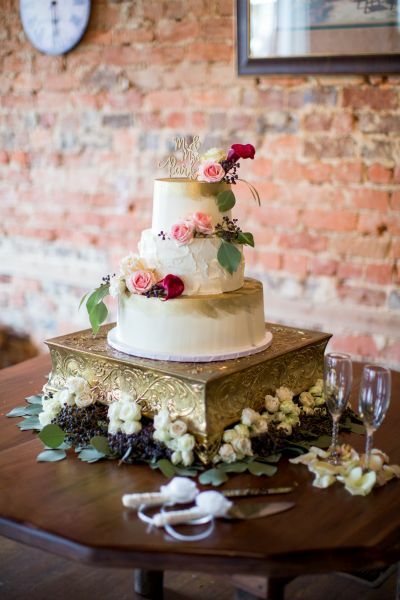 To give their wedding a personalized touch, the couple decided to display a unique donut bar during the reception, and their cake oozed rustic elegance. 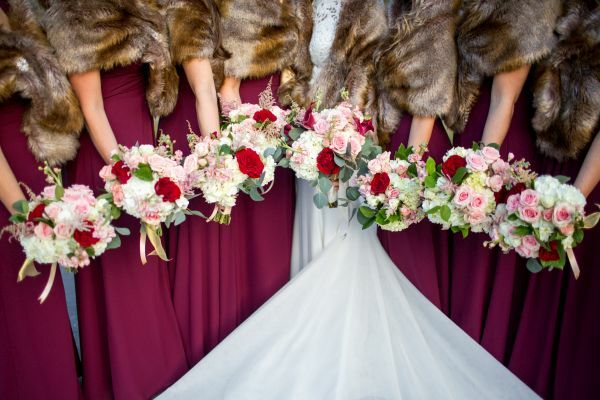 The bridesmaids wore furs to keep warm during photos, and Hannah says that they all looked "uniquely beautiful." 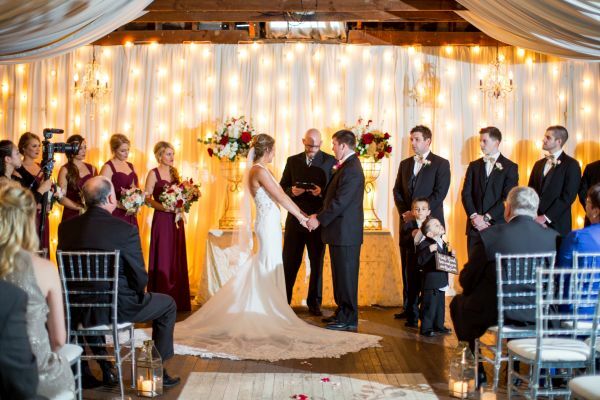 Hannah and David's ceremony was very meaningful to them, with important Bible verses that reflected their relationship perfectly. 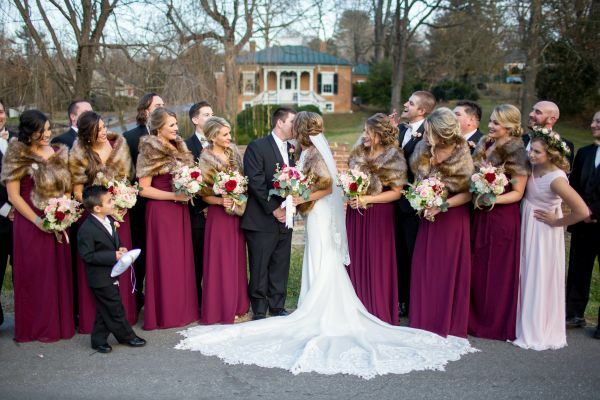 The short-and-sweet elegance of the ceremony paired with the air of Christmas made the couple's day one that they and their guests will never forget. 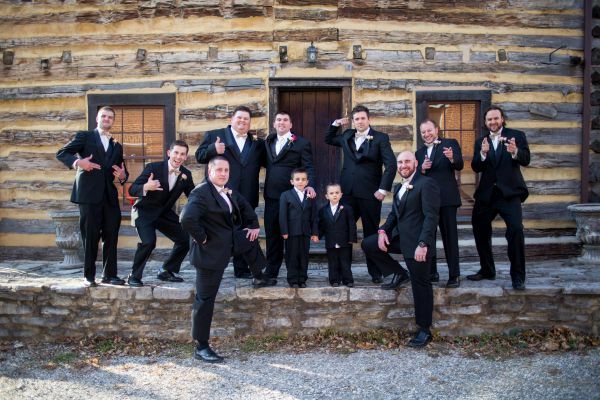 Make sure to see more of the Parker wedding on page 70 of bridebook!